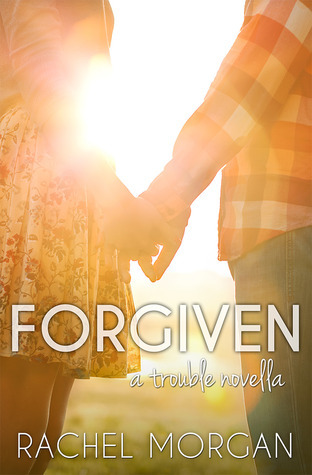 I recently read the novella, Forgiven by Rachel Morgan, a clean new adult story about facing our pasts, forgiveness, family, and of course romance! You can grab a copy of Forgiven for FREE on most online retailers. Forgiven is the prequel to the Trouble series which will consist of four books and follow four different couples; The Trouble with Flying, The Trouble with Flirting, The Trouble with Faking, and The Trouble with Falling. I’m happy to be a part of the cover reveal today and show you ALL four covers! This entry was posted in Cover Reveal and tagged Rachel Morgan, The Trouble with Faking, The Trouble with Falling, The Trouble with Flirting, The Trouble with Flying, Trouble Series, Xpresso Book Tours. Bookmark the permalink. these look like a lot of fun, thank you so much for sharing.